September 19, 2017 Mexico City was shaken to it’s core when it was hit with a 7.1 earthquake, the devastation killed over 200 people. 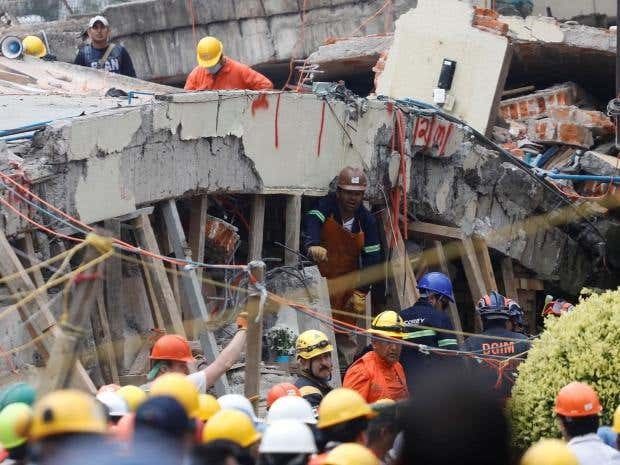 Then Saturday the 23rd Mexico City took another blow when a second earthquake hit them again, the devastation from both earthquakes have reached the extensive amount of 400 lives lost. How can an earthquake cause so much damage? When an earthquake happens, it is measured on the logarithmic scale, it ranges from one to ten. Since the earthquake was a magnitude of 7.1 it measures ten times more in magnitude than a six. Mexico City will always be susceptible to earthquakes since the country lies against the border of the three fault lines. The NOAA (The National Oceanic and Atmospheric Administration.) has stated that Mexico City “is built on dried-up ancient lakebed.” When the earthquake happened, the “building foundation liquefied”. This is why the damages have been so catastrophic. Thirty-two years ago, a 8.1 earthquake struck Mexico City at 7:18 in the morning, killing more than 10,000 people and leaving 30,000 people injured. The name “Frida Sofia” was a buzzing hashtag and topic of concern when a story of a little girl being trapped in the school “Enrique Rebsamen”. Mexico’s Navy made a statement that “there no missing children at a collapsed Mexico City school.” But sadly, nineteen children and six adults were killed by the earthquake at the school. The Mexico City Mayor, Miguel Angel Mancera Espinosa made a statement that “at least seven schools were among the buildings thought to be at risk of tumbling.” Mexico City has over 9,000 school and only 676 of those schools have been deemed safe. It’s going to take weeks before they are even close to examining the schools and making sure they are safe for the students.